This volume has brought together scholars from anthropology, history, psychology, and ethnic studies to share their original research into the lesser known stories of slavery in North America and reveal surprising parallels among slave cultures across the continent. Although they focus on North America, these scholars also take a broad view of slavery as a global historical phenomenon and describe how coercers and the coerced, as well as outside observers, have understood what it means to be a “slave” in various times and cultures, including in the twentieth and twenty-first centuries. 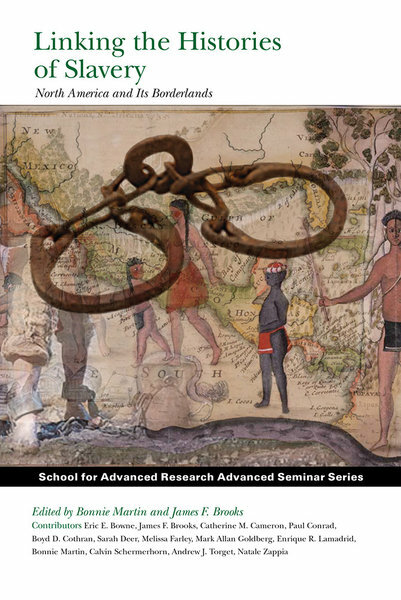 The contributors explore the links between indigenous customs of coercion before European contact, those of the tumultuous colonial era, some of the less familiar paradigms of slavery before the Civil War, and the hazy legal borders between voluntary and involuntary servitude today. The breadth of the chapters complements and enhances traditional scholarship that has focused on slavery in the colonial and nineteenth-century South, and the contributors find the connections among the many histories of slavery in order to provide a better understanding of the many ways in which coercion and slavery worked across North America and continue to work today.